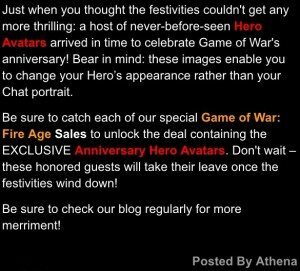 We appear to be on the verge of AC war. 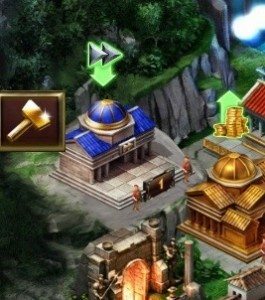 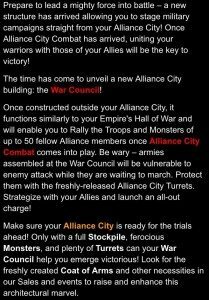 Most players have either seen reports through social media or other avenues of the 50 million-troop alliance city war marches. 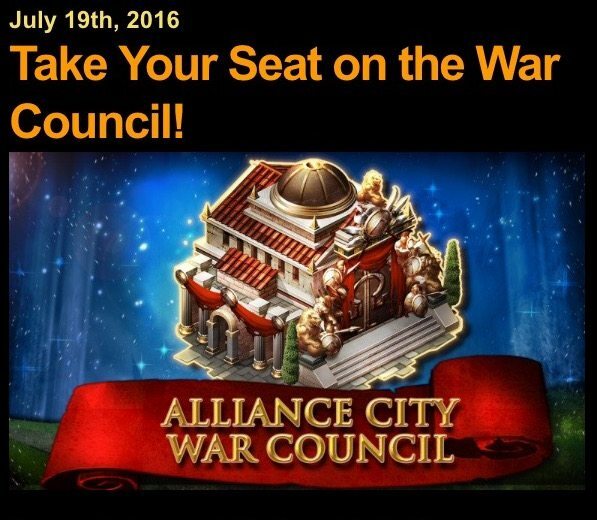 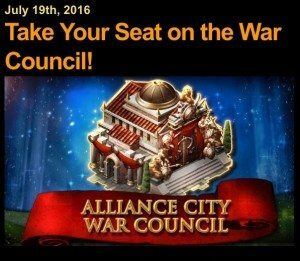 Quite a feat to build the level 1 AC War Council, let alone level 5 for those alliances that are not that active. 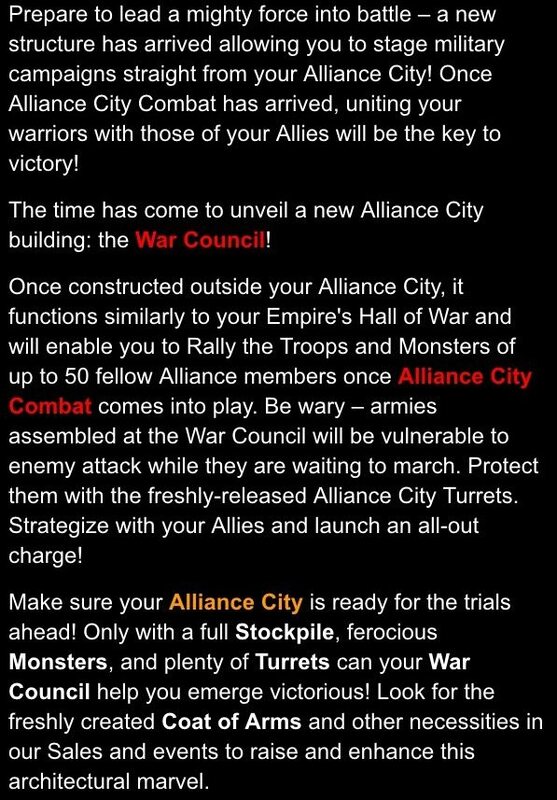 But those alliances that flourish (meaning spend a lot) are now one step closer to being ready to AC Battle. 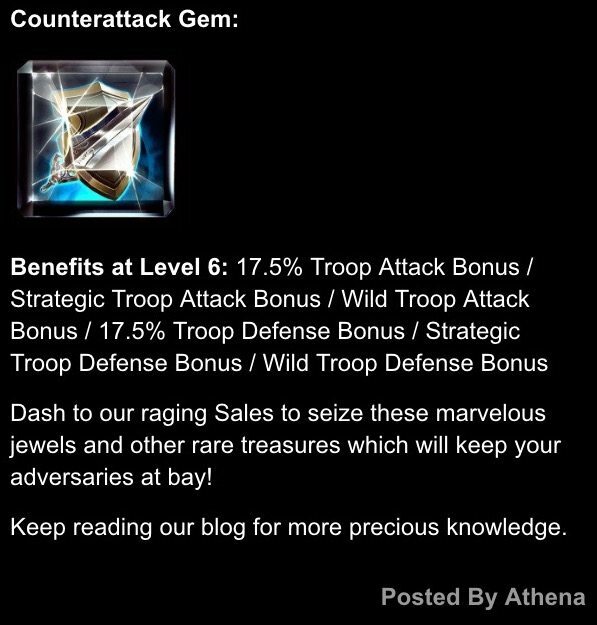 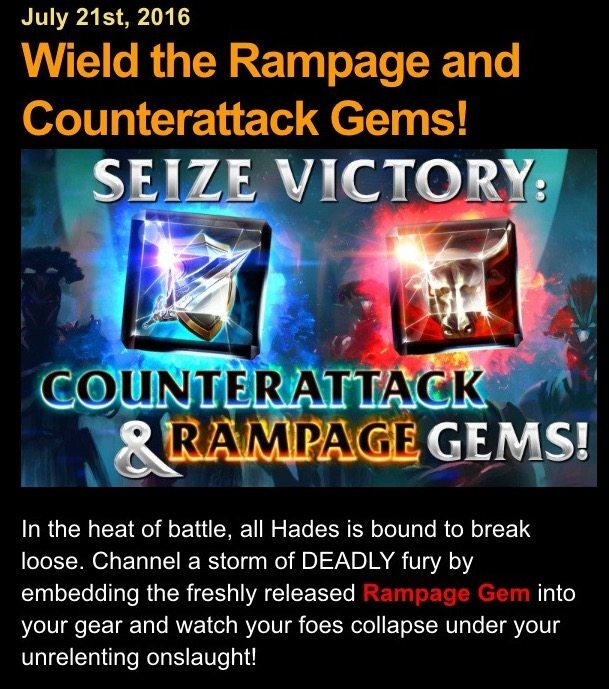 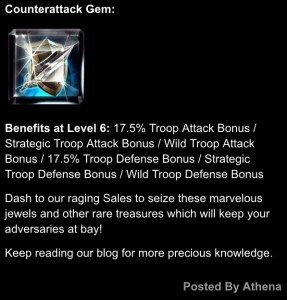 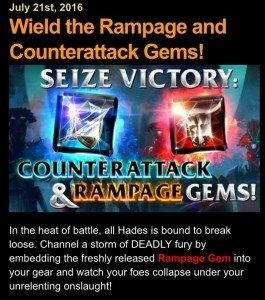 This week 2 new gems were released, the Counterattack and Rampage gems. 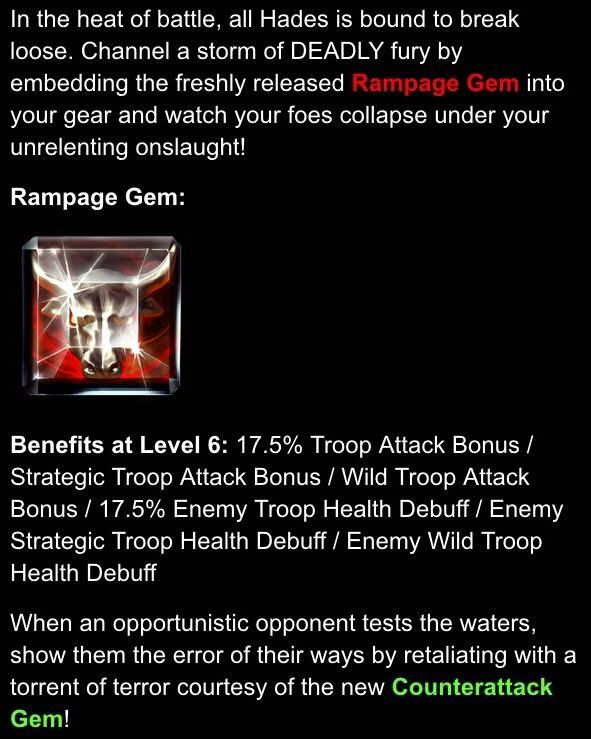 The Counterattack is a 17.5% Troop Attack boost stacked with a 17.5% Defense boost, whilst the Rampage gem has a 17.5% Troop Attack boost stacked with a 17.5% Enemy Troop Health Debuff. 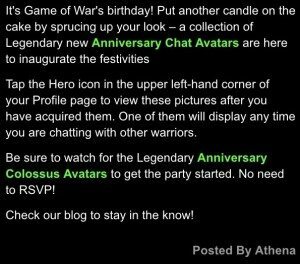 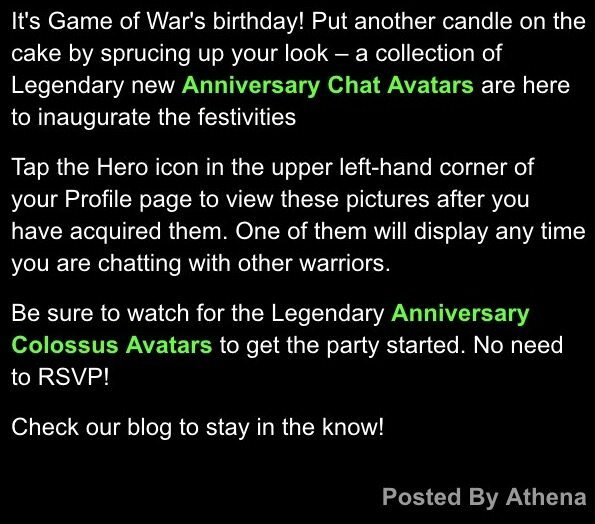 New chat avatars celebrating 3 years of GOW were released in certain gold packs. 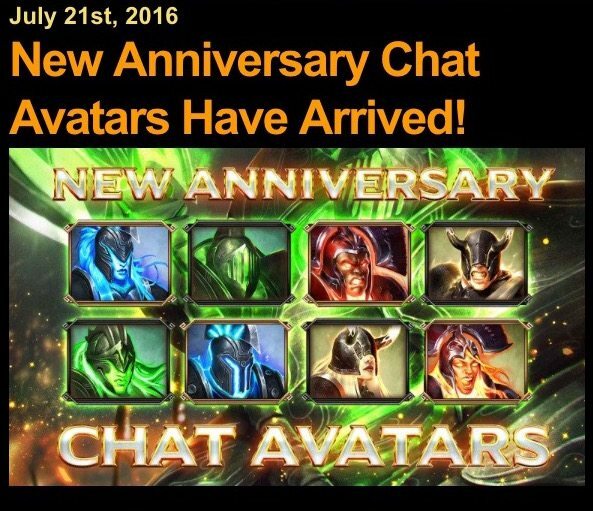 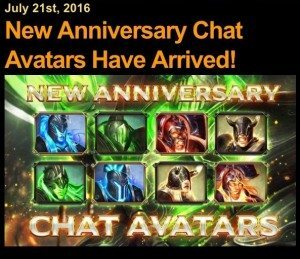 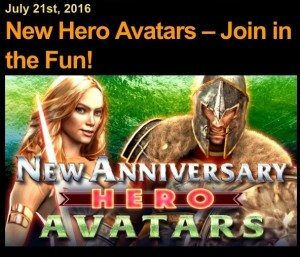 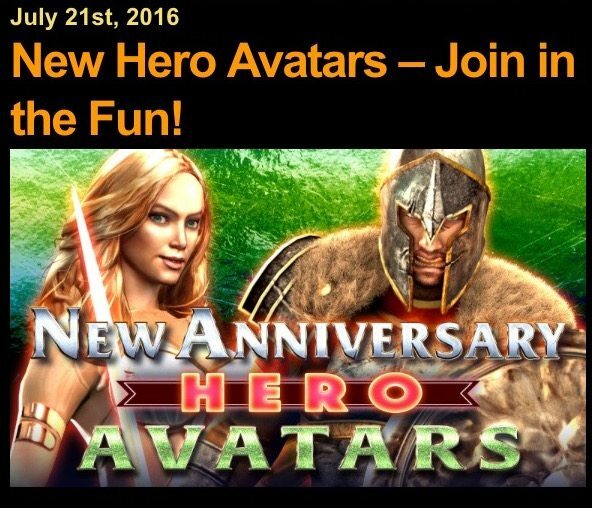 July 21st, 2016 – Aniversary Hero Avatars. 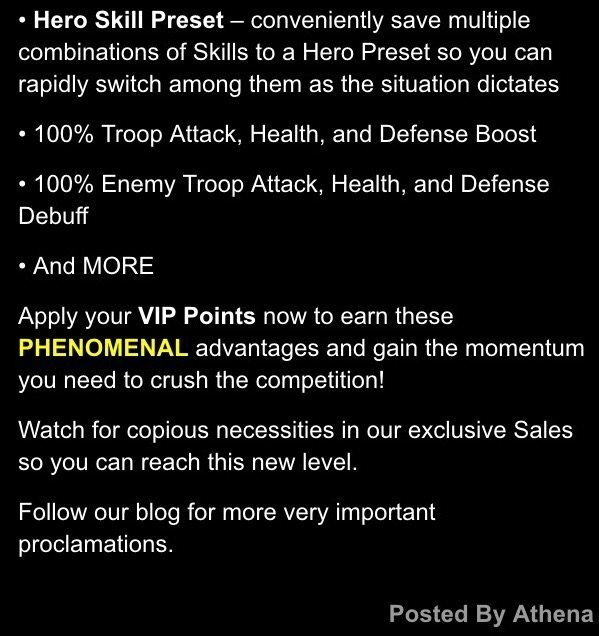 Two new Heros are now obtainable through gold pack sales. 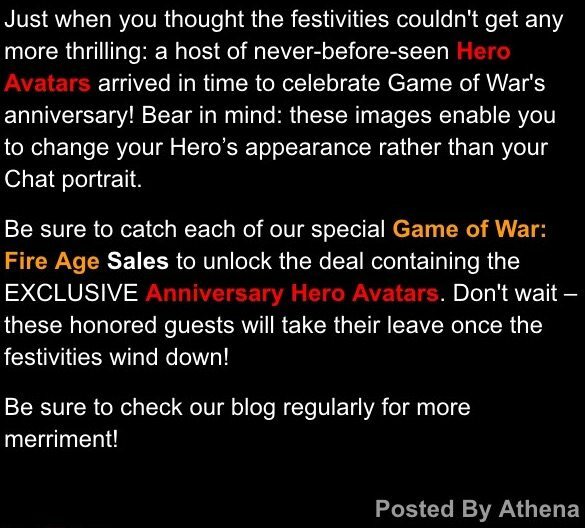 The guy that has been screaming at you every day for the last 3 years as the game loads is now yours to obtain! 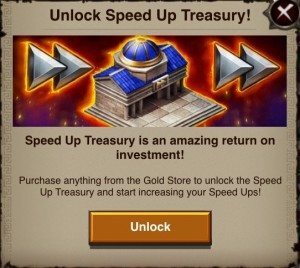 MZ has released a building called the Speed up Treasury. 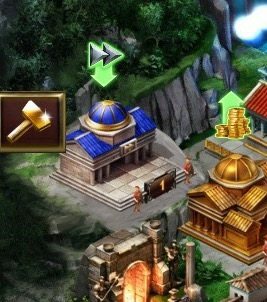 3 options are available once you have unlocked the building. To unlock you simply have to purchase anything from the gold store. After this you will be able to deposit your speedups (up to a certain value and then withdraw larger ones when completed) The 24 hour option provides you with the biggest payout being a 10 day speed up every day (all you require is 1 x 3 day speed to start it off – which can be made up of any combination of smaller speed ups so you end up with 7 days extra than you deposited. 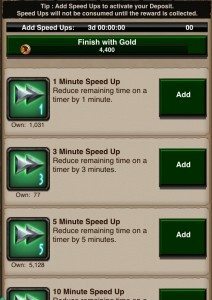 This will serve well to use up those thousands on 15 min speed ups you have been able to use). 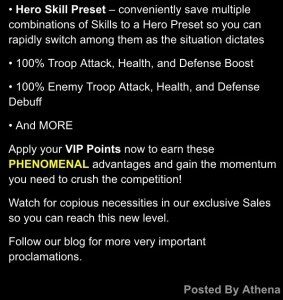 VIP has always been about making these quicker and easier, the added Hero Skill preset will do just that. 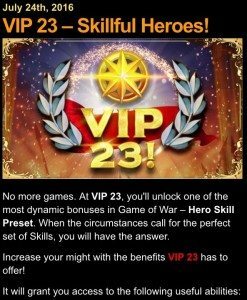 Obtaining VIP 23 for even the biggest of players be more expensive than ever before as the jump from Level 22-23 is 330m VIP points (330m Gold). 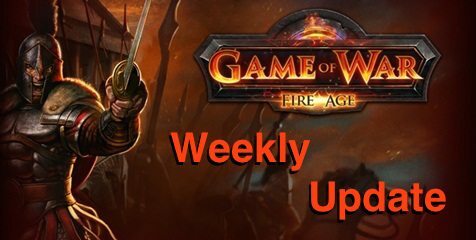 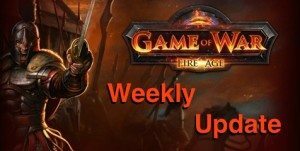 If you have something noteworthy that happened in your kingdom this week please document it / screenshot it and send it through to mhy@insidegameofwar.com and I’ll try to get it added into next week’s update. 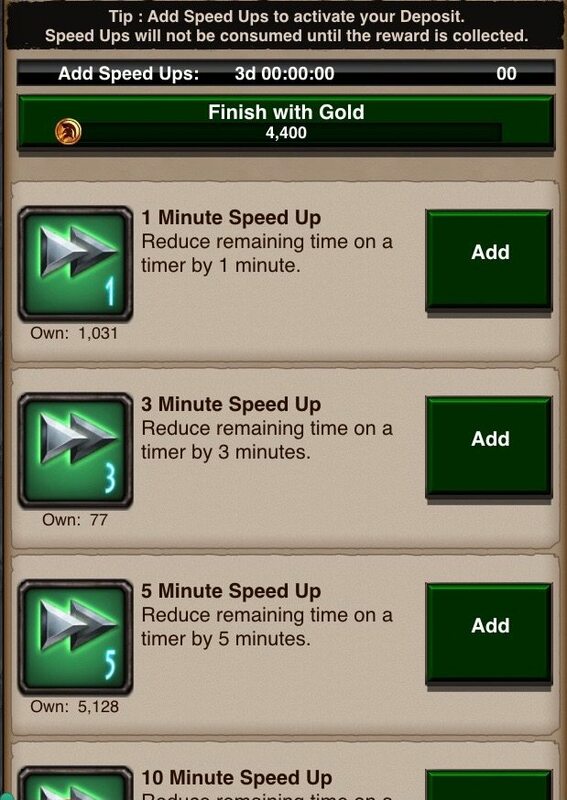 OK, usually I’m pretty critical but the idea of combining speedups was always a good idea so its nice to see there is some form of it , if only because the speed inflation times have skyrocketed. MZ replaces 75% the building inferno events with gold buy events…hmm. 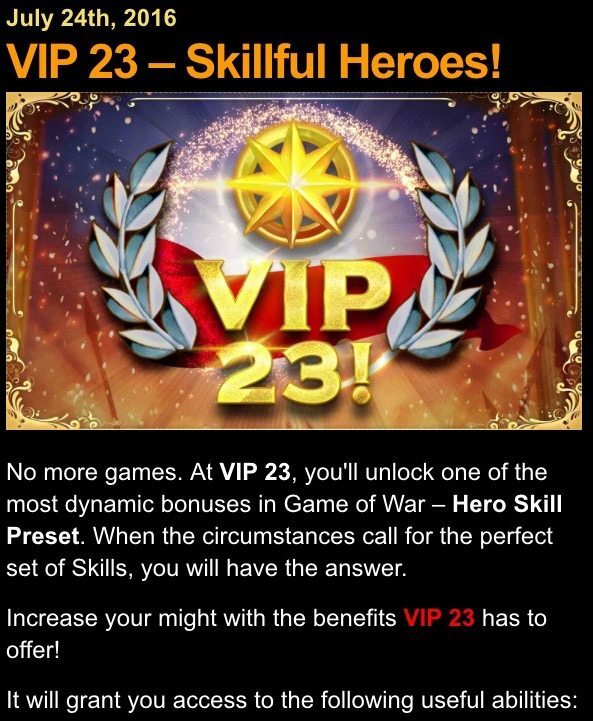 So much for play for free. 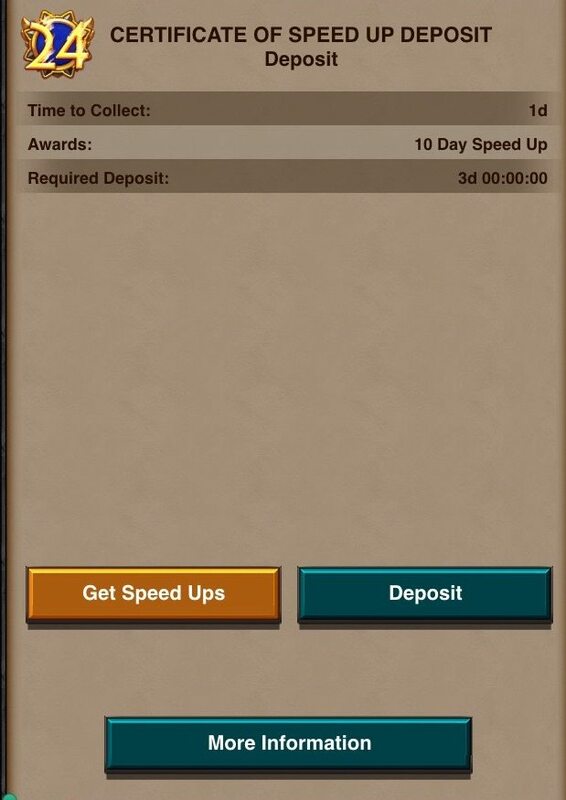 Can’t complete a build kvk without buying gold. 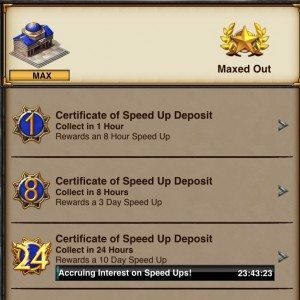 MZs greed reaches a new level.